The Pivot Health The Bridge to Medicare ™ is a budget-friendly package that helps pre-Medicare consumers ages 62 to 64 months “bridge” to the next stage of life when they become eligible for Medicare. Enroll for The Bridge to Medicare Here! This is not Medicare or Medicare supplement coverage. Coverage A is a short-term medical plan for unexpected, large medical expenses. Coverage B is a fixed dollar limited benefit insurance plan to help supplement medical expenses for routine medical services. Your clients apply once for up to three years of coverage. There are NO new underwriting questions for qualification of the new policies, no new waiting periods and no new pre-ex look-back period. No network restrictions - all providers accepted. Additional non-insurance benefits include a discount prescription drug card, discount on vision services, audiology, emergency helicopter transportation and more! Pivot Health issues up to three policies back to back with 364 days of coverage for each STM policy. At the start of each policy period (every 364 days), there are new ID cards and certificates issued. Deductibles and out-of-pocket maximums start over as do the copays, and coverage maximums. The fixed dollar limited benefit plan’s benefit limits restart each coverage period (annually). ​888-767-7133 or email sales@alliednational.com. 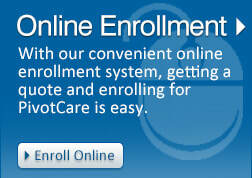 We will assist you in getting a Pivot Health affiliate link to send to your clients. You will not need to fill out any Companion appointment paperwork until after you submit your first case. The plan currently is available in Alabama, Arkansas, Florida, Georgia, Kentucky, Ohio, Pennsylvania, Texas and Virginia. More states are pending approval. Bridge to Medicare is underwritten by Companion Life Insurance Company. Non-insurance association membership benefits are provided by Communicating for America, LLC. Agents - Request a Pivot Health Personalized Sales Web Page! If you do not have a Pivot Health personalized page, please fill out the information below and submit your request. After submitting, it takes 24 to 48 hours to create your web page. Allied sales will email you with your link as soon as it's ready.